In the ever-changing world of search engine optimization, one goal remains constant: traffic. 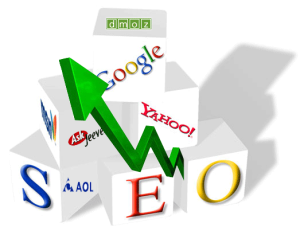 The higher the site ranks on a search engine results page as seen by a user, the more traffic the site will receive. A site that has been subjected to the standards and strategies of an expert and reputable SEO company is better positioned than its competitors. However, proper white hat SEO strategy implementation does not mean applying a series of quick fixes for higher rankings and more traffic. Reputable search engine optimization means following the search engines guidelines, and never placing a client in harms way. SEO helps a site with traffic, and thus conversions. 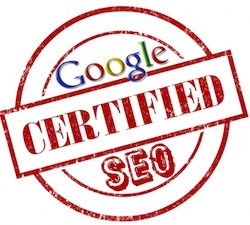 The experts here at WebVisable have a reputation of accomplishment as a top search engine optimization company. We understand why SEO is beneficial to your business, and that without a solid white hat strategy that any great website will fail. A solid and ethical Search Engine Optimization strategy should function as an integral extension to Internet marketing, as it is vital to the success of any organization with an online presence. An optimal strategy encapsulates many things. Chief among them is content. Creating authoritative content that includes targeted keywords relevant to user queries is key to organic search. A site that effectively practices the recommendations of reputable professionals will most likely be better than the competition. A site optimized by our experts will typically be rewarded with a higher search engine ranking because that site aims to deliver what the user wants. And search engines reward sites that do so. With over 30 years of online experience, WebVisable is a reputable search engine optimization company. We focus on search engine optimization as part of a holistic, all-encompassing Internet marketing optimization strategy. In addition to search engine optimization, WebVisable professionals offer consulting services, site assessments, tools, fantastic SEO training and more across the most important Internet marketing disciplines. Effective development and execution of a proper search engine optimization strategy is a vital component to our mutual success, and one of the most powerful online marketing tools available. With the help of the reputable professionals at WebVisable we can maximize results and over time, increase ROI (Return On Investment). We make lasting improvements for your site’s long-term success. We provide sound search engine optimization services to ensure that your site is authoritative and excels above your competition’s. And all of our services are customized to your needs and prices are negotiated to fit your needs for a successful project.